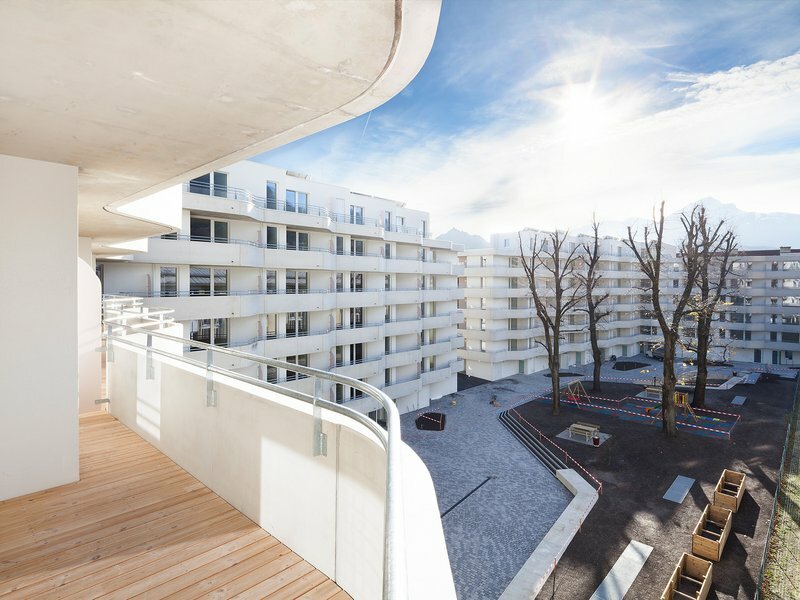 Hard shell – soft core: the main focus in the design of the Sillblock housing development is on the clear separation of the street space from the courtyard. On the street front, the U-shaped perimeter block development is deliberately integrated unobtrusively into the surrounding urban space, while on the inside it is separated into two tapering sections that define an attractive new courtyard around existing lime trees. 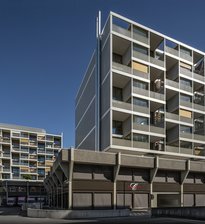 The »two sides« of the residential building are also reflected in the materials and formal idiom of the respective façades. All the apartments face onto the courtyard and are flanked by a »balcony arena« – depicted by an undulating exposed concrete parapet. 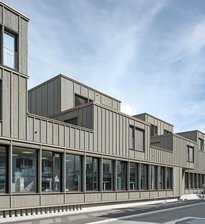 The special quality of this housing block lies in the diversity and flexibility of the floor plans. The entire building is developed around the apartments in layers that extend into the urban space and, as a whole, becomes a volume with depth and diverse spatial qualities.